I have been reading a few online publications on this two concepts and I may research on Game-based learning for my TFG this year although I don’t know exactly how to start with this... Games have been used for decades in TEFL but they have transformed and have become really popular in the English classroom lately thanks to neuroscience findings. Will games replace textbooks in the future...? That's right, neuroscience findings have increased the use of games in the classroom because they add a plus of emotion to the learning process, as well as curiosity to the new concept presented ...and so on. 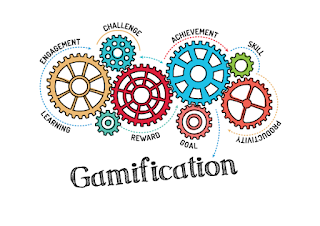 If your TFM is based on games-based learning, I recommend you reading the blogs by Manu Sánchez, Salvador Carrión, Oscar Recio, Raúl Bermejo and Pepe Pedraz. All of them talk about the game in the classroom and how to promote creativity in the students through the game.